Summer is officially over. Say goodbye to excessive heat and humidity! Fall is here. The temperature has already started to cool, the leaves have already started to change color, and you have already started to plan your next home improvement project. There is no better time to invest in a new fence. There is only one problem. You can’t decide between vinyl and wood. Which do you choose? 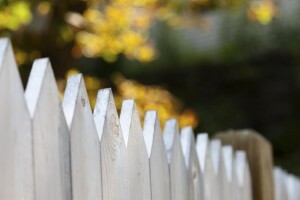 While vinyl fences are always growing in popularity, wood fences are still No. 1 in the state of Maryland and for good reason. Wood fences are aesthetically appealing, they add value to your home, they are easily customizable, and so much more! There is just something about wood fences that add instant curb appeal to any house they surround. With an average return on investment of around 65%, a new wood fence is an excellent way to add value to your Maryland home. If you change the look and feel of your home just about as often as you change your socks, wood fencing is the right move for you. It gives you the flexibility to stain or paint your fence to match your ever-changing new style. Wood fences are probably much more affordable than you realize. So before you abandon the idea of a new wood fence before you even do your research, take a step back and call Mid-Atlantic Deck and Fence for a Free Quote. Mid-Atlantic Deck and Fence offers many different styles of standard wood fencing as well as custom designed wood fences. And because we purchase most of our wood by the truck load it gives us the ability to offer you a high quality product without the high quality price tag. If you have any questions about Wood Fences in Maryland, please contact Mid Atlantic Deck & Fence (MAD Fence) today by clicking here or calling 1-800-833-9310. You can also follow us on Facebook and Twitter as well.